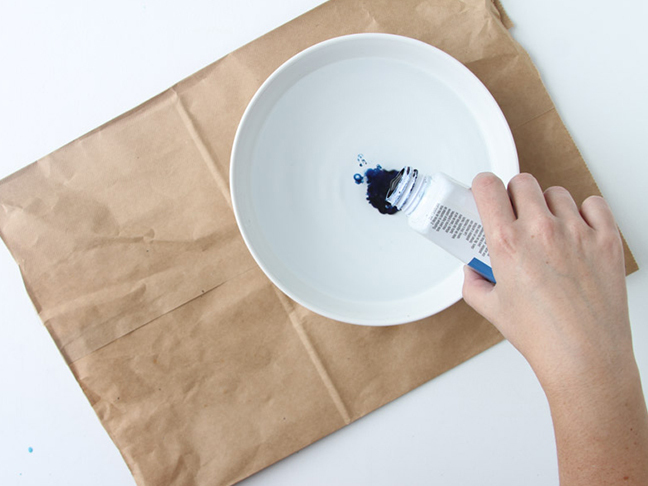 Step 1: Pour hot water and dye into a medium or large bowl, according to the instructions on the bottle. 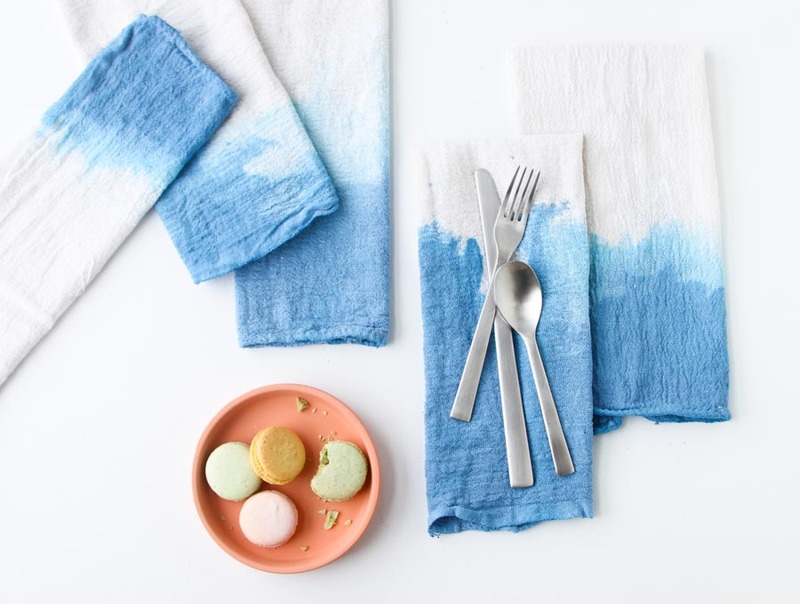 I used about ⅛ of a bottle of dye and four cups of hot water for a set of six napkins. 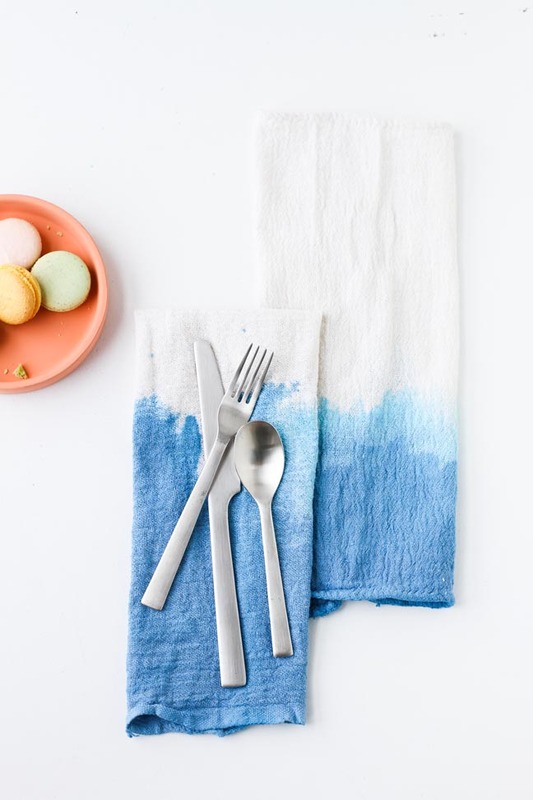 Stir with a spoon. 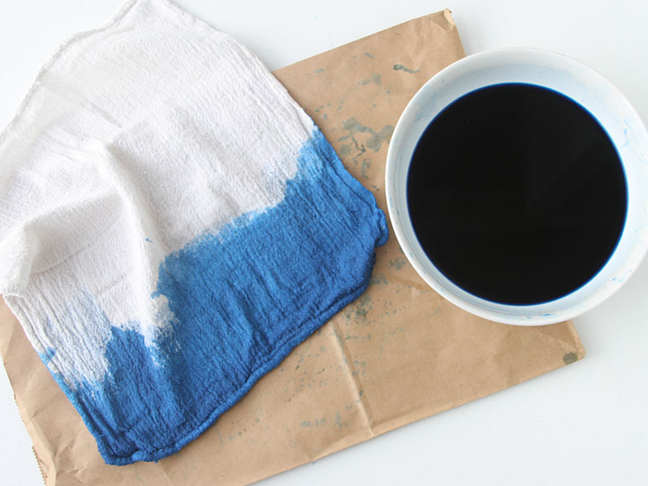 Step 2: Next, dip napkin into the dye bath until you’ve reached the desired coloring. 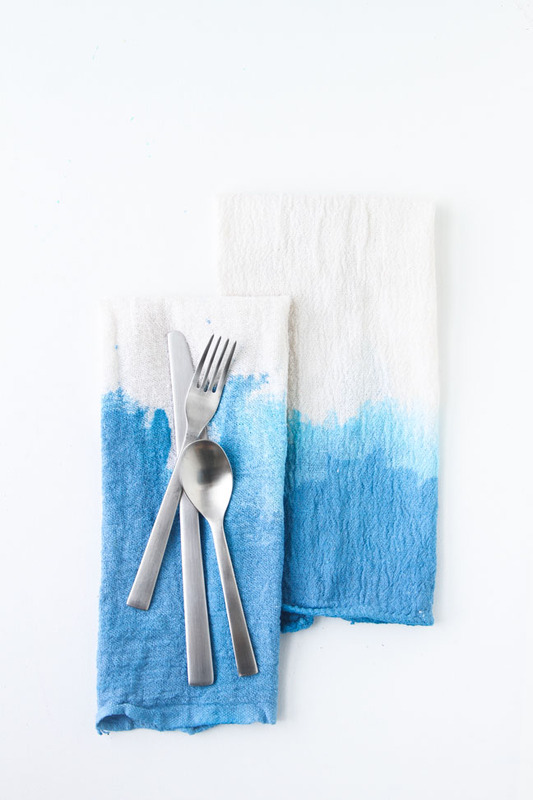 Step 3: Remove excess dye from the napkin by squeezing the ends of the napkin. 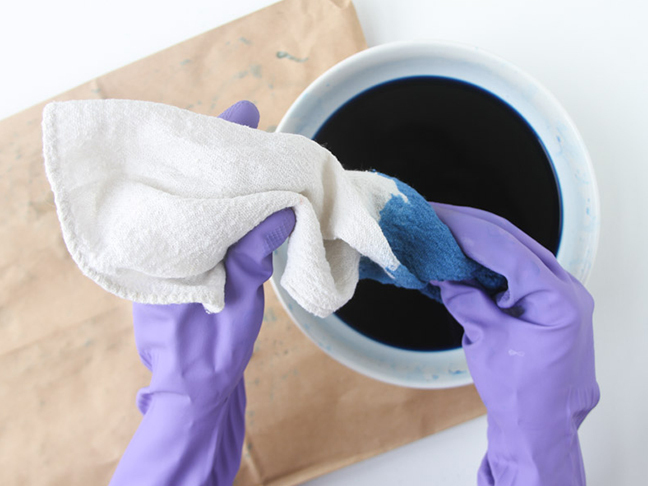 Make sure you’re wearing rubber gloves for this step or your hands will get stained with the dye. 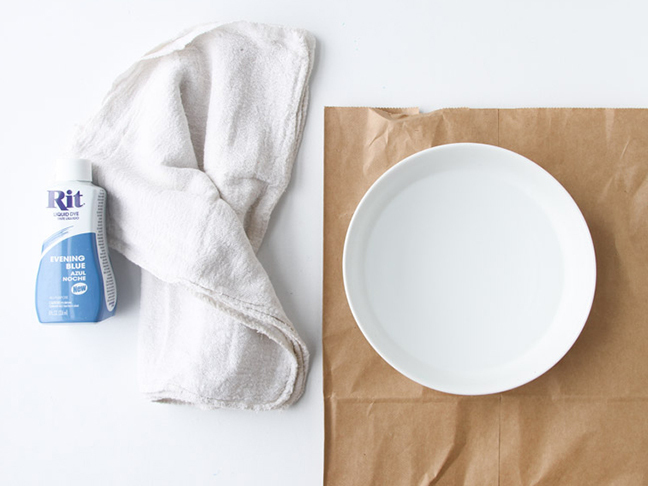 Step 4: Then rinse the napkins with warm water until the water runs clear. 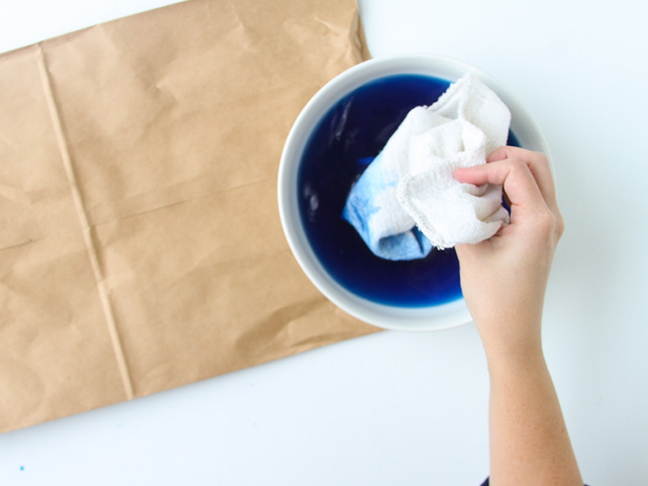 Wash with mild detergent and dry flat or in the dryer, according to the packaging.